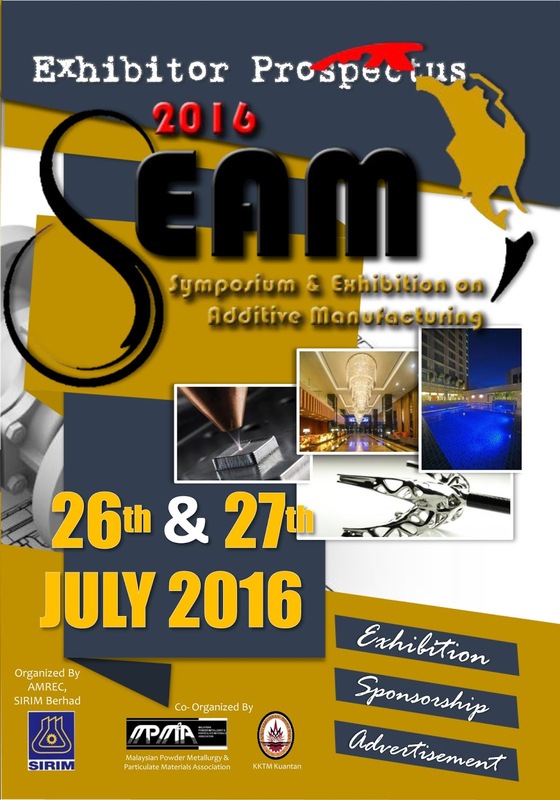 Organised by the Advanced Materials Research Centre (AMREC), SIRIM Berhad, the Symposium and Exhibition on Additive Manufacturing (SEAM) 2016 will be held at The Light Hotel in Penang from 26th July (Tuesday) to 27th July 2016 (Wednesday). SEAM 2016 is a symposium followed by a full-day workshop on the second day, focusing on the latest technology of powder metallurgy, additive manufacturing. There will be authoritative experts, industry leaders, and participants from the academia, sharing their knowledge on additive manufacturing industry development, technology management and the operation during production process. Also, the symposium will discuss about areas such as processing and design, materials for additive manufacturing, additive manufacturing technologies, applications and industries, bioprinting and tissue engineering. During this event, we are proud to present a topic on “The Auxiliary of Additive Manufacturing”, in which we will touch on how 3D scanning technologies and Finite Element Analysis (FEA) can complement additive manufacturing. These elements are crucial in a complete product development which could bring out the best in additive manufacturing technology. For more information, please contact us at marketing@cadcam.com.my, or visit SEAM 2016 official website.